for $522,980. The lot size is 347 x 377. Incredible opportunity for Infill Land! 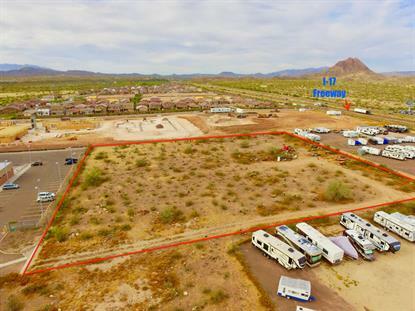 This is one of the last remaining large parcels in the community of Anthem. 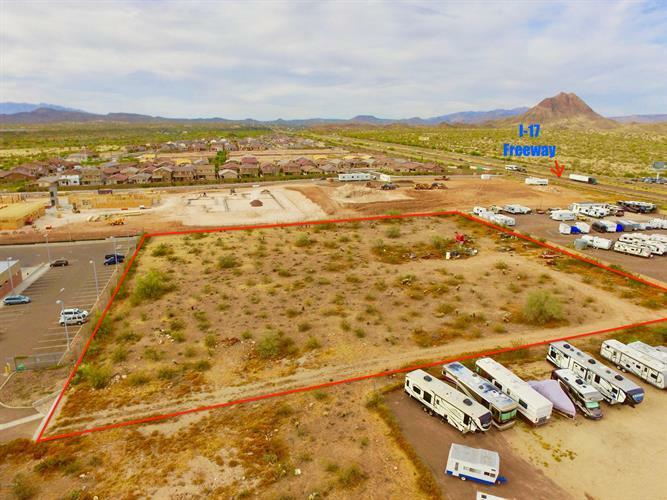 3 acres situated between the US Post Office, the new Montessori School and an RV Storage facility. This infill plot is ready for a re-zone. Most abutting acreages are zoned CC/C2. This land would be ideal for high density housing or other possible commercial development. There is dual access for ingress/egress from the I-17 Frontage Rd, Black Canyon Hwy and from N 43rd Ave. There are city utilities at N 43rd Ave. There is also a well on the property. Anthem and New River continue to grow with thousands of homes being built just north of this land. This high growth area is prime for development.